What are the emerging trends in robotics? How will robotics and IoT impact each other in 2019? All machines on a manufacturing floor are now beginning to talk to each other. This allows for much greater production and efficiency. This also allows for better predictability of maintenance issues and downtime. I fully expect that this technology will become even more advanced, allowing machines to become even more interconnected which allows manual process to become even more automated. This further will advance technologies like cloud robotics and teleoperation. What can you tell us about safety standard ANSI/RIA R15.08? This standard was created specifically to fill a void in the current robot safety standard landscape. There has been a rise in the autonomous mobile robot (AMR) technology sector which wasn’t sufficiently covered by the standard within the industry we have today. Previously most similar machines were thought of as either a stationary robot or an automated guided vehicle (AGV) which always followed a specific path in a limited environment. Today, AMRs roam shop floors and do not follow any predetermined path. They rather determine the quickest and most efficient way to move from point to point. Further adding to complexity, AMRs do this on the same walking paths as humans with ever-changing terrain and may or may not also have a traditional manipulator arm attached. The standard will give guidance to the main safety questions like object detection, controlling dynamic simultaneous motion, navigation and guidance, and training requirements. How do you see the emergence of cobots impacting 2019 safety standards? As noted above, as we learn more about the technology and see how these are implemented in the real world, standards committees can better develop standards for hazards that may have not been previously addressed or may have been addressed improperly. As technology develops, safety standards must evolve along with technology. Will we see new robotics startups emerging? Do you have any advice for them during the product development stage? We see many startups trying to find a niche and trying to capture as much market share possible. My advice is to always study and consider the market to develop a product that solves a problem and will drive a want in the industry. But with that in mind start-ups must also consider regulatory regulations from the start of design which rarely happens. A wonderful product doesn't sell very well if many companies will not purchase because they to not meet applicable safety regulations. What role will startups play in shaping the robotics industry in 2019? Start-ups have often played a major role in the robotics industry by typically developing technologies that the big companies may not have their ear to the ground for to know there is a need. Take Rethink robotics for example. While they recently shut their doors, they are largely credited with pioneering the area of collaborative robotics. Small ideas can easily turn into a large market. Do you feel that the emergence of robotics will affect the employment picture in 2019 and moving forward from that? I feel strongly that the emergence of robotics will strongly affect the employment picture in 2019 and moving forward, but not in the typical way it is being portrayed of lost jobs. Dating back to even the industrial revolution, technology advancements did not simply replace people, but rather create new opportunities for advancement and create new jobs. Yes, the employment landscape may look different but that is hardly outside of the norm. We are all better off from machines that made it so we don’t need to stitch out own clothes together, and I believe we will be better off from robotics technology which allows companies to build better, cheaper products at a higher volume. This allows more investment for job creation and further technology advancement which leads to a high standard of living, better wages and more jobs. Ryan is a Test Engineering Manager with TUV Rheinland. 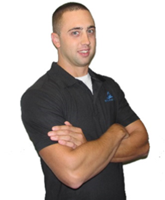 He has his bachelor’s degree in mechanical engineering from the University of Massachusetts Amherst. Ryan has extensive experience with safety standards for the semiconductor, manufacturing, packaging and robotics industries, particularly within North America and Europe.